I would not have wanted to bet on whether it would be a huge success, or a huge flop, but I am astonished that there is no trace of it whatsoever on Google, more than four months after approval. Maybe the focus groups showed that it is not for men after all. 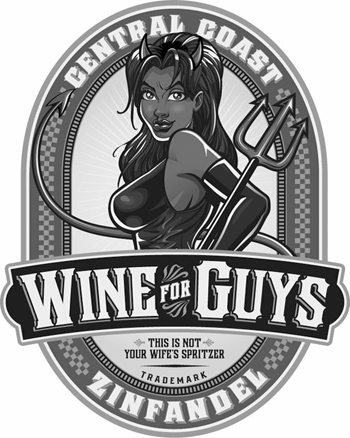 Wine for Guys is/was made by Clos La Chance Wines, Inc. of San Martin, California. media buzz writing/witty/funny speaks for itself formulas famous processing legally interesting/controversial functional sexual origin dairy fda caffeine/secondary effects narrowed demographic risqué serving facts/allergens political sin speech current events statement of composition rejections international APTs music-booze-society therapeutic business strategy procedure type design unlikely combinations history craft policy would you approve it? organic/vegan/green non-liquid hybrid drinkwire litigation trademarks-beverage ingredients container brand extensions would you drink it?